The Government of Zimbabwe is set to consider the adoption of the Victoria Falls Tourism Special Economic Zone corridor approach which will go a long way in addressing imbalances in product profiling within Matebelaland North region, a move which is set to benefit marginalised communities especially such as Gwanda and the part of lower Zambezi area which have been excluded for a quite a long time with women and children the most affected. "This will go a long way in ensuring tourism development does not only concentrate on Victoria Falls but spreads to the entire province", said the Minister of Tourism and Hospitality Industry, Hon Prisca Mupfumira while speaking during a consultative workshop on the National Tourism Sector Strategy (NTSS) in Victoria Falls. 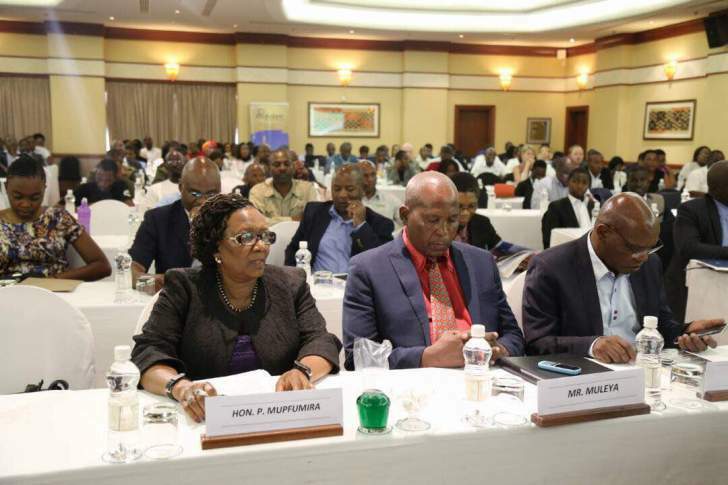 Minister Mupfumira further emphasised that the designation of the region as a Special Economic Zone (SEZ) should not only concentrate on investment from outside the country while ignoring the local people at the grassroots level. The project will, upon successful implementation, enable the Victoria Falls Tourism Special Economic Zone to see the emergency of world class tourism and hospitality training institutions that will capture the attention of the entire SADC region. She said Government through her ministry had shown preparedness and commitment to the development of the Victoria Falls Tourism Special Economic Zone by placing the project under the ministry's 100~day work programme. Hon Mupfumira also challenged the accommodation sector in Victoria Falls to seriously consider the domestic tourism market and not only be glued on international tourism, as it presents opportunity for economic growth and sustainability of the hospitality industry. Presently, Victoria Falls has 1 781 rooms and hotels constitute 1 125 of the rooms while the remaining balance being lodges and other accommodation facilities. The project which was funded at the tune of US$80k saw the training of women and youth residents in Victoria Falls in housekeeping, food and beverage services, food preparation, tour guiding and business management for Small to Medium Enterprises (SMEs) and women co~operatives in the tourism sector. This development by the Tourism sector in Zimbabwe through Government's adoption of the Victoria Falls Tourism Special Economic Zone will see a boost in arrivals not only for Victoria Falls but also stimulate growth for tourism for other towns along the railway line corridors such as Gwanda.